Home >> Generated from JAN's SOAR Information System on 4/21/2019 12:47:38 AM. 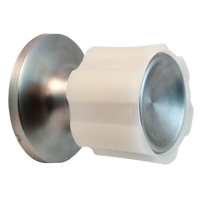 Carex Doorknob Gripper is designed to fit over the existing doorknob to provide a slip-free surface making turning easier. Ideal for those with dexterity issues or a weakened grip.